How did a local gastro guided tour company meet a famous author? It was during the winter of 2015, as we updated the agenda for our Black Diamond gastro guided tour, that we realised so many of the places we were visiting - restaurants, vineyards and historic sites - plus the accommodation we were providing, were all in the footsteps of ’Bruno, Chief of Police’. Bruno Courrèges is a policeman in the peaceful Perigord, the culinary heartland of France, famous for its truffles, its foie gras and its prehistoric sites. He believes in justice rather than the letter of the law, and his loyalties are to his friends, his town and to his somewhat old-fashioned love of France, which often means defending his local village of St Denis against the incursions of the modern world and the globalisation it brings. 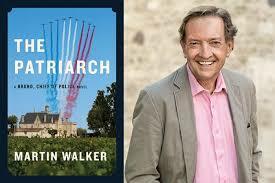 Whilst discussing this insight with local friends they suggested we contact Martin Walker, the author of these fabulous books that are based in the Dordogne region. But these friends knew Martin through their professional trade. We couldn’t simply contact him, he’s famous in this region, he’s got better things to do, what would we say? Would love to, came the reply. We nearly fell over. This well known local author who has done a lot for the tourism in this region through his books, is happy to meet us for a coffee! We are four friends with a passion for the area and want to share it with like minded people. It turns out Martin is exactly the same. 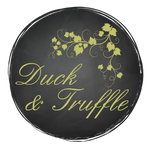 Duck & Truffle are now very proud to not only incorporate many elements from Bruno’s adventures in our truffle and wine tours, but Martin is very kindly advertising our tours during his German book tours.